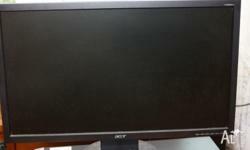 I have a ACER LCD monitor for sale. 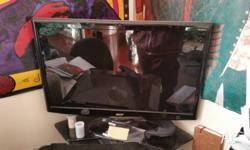 Its a spare montior which is no longer needed. 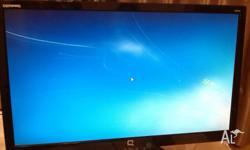 Excellent monitor Full HD 1080p. 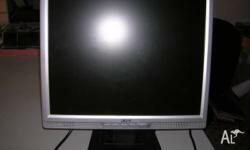 Resolution: 1920 x 1080, brightness: 300nits, Contrast: 80000:1 max, Response time: 5ms, Input D-sub/DVI, Accessories: VGA/DVI/Power Cables , Base Stand. 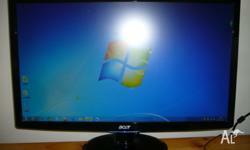 Comes with all cords, will need to find discs etc but these are readily available online. Pick up only after business hours, text or email only. 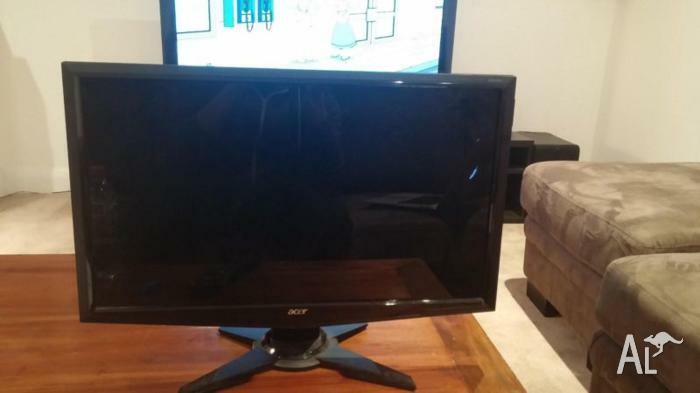 For sale is an ACER LCD monitor that has seen minimal use. Has a built in camera.